Is this the new face of English Football? Transfer deadline day has always known to bring drama and havoc all over the footballing nation, thats the world excluding maybe a few places who have refused to embrace the beauty of what is making today’s youth dream of lavish cribs and fancy cars..However, the twist in this years’ storyline had brough many to knees and leaves ones gasping for air with utter disbelief…Manchester City! Manchester City? yes, Manchester City seem to be taking the headlines from the likes of Chelsea, Real Madrid and Manchester United. Question is will it be players as well? So is this the new Chelsea? Will Manchester City make all the contoversial headlines with coaches being fired for not landing trophoies and their luxurious transfer packages. Is the good Dr here to take over form Roman and the new face of English football? That said though, this is welcome competition, and hopefully Hicks and Gillet will let DIC takeover Liverpool as their being stingy and lack of vision and marketing skills means they losing out on competition with the so called “big money teams”. Like honestly it dosent take a genious to understand that big names you spend a lot for bring forth rewards, if not in results, then T-Shirt sales (wonder why Chelsea was already taking orders for Robinho’s t-shirts?) Rememeber roman Calderon preparing to offer 70million of Christiano Ronaldo confident the money will be back in 6months from just T-Shirt sales. As for City, knowing how English fans love their football, i wonder how long it will take to get back the 32.5 million quid invested – 3months if not less? So we have a new player in town. And guess what – their preparing a transfer kitty worth about 300 million pounds to try and lure Christiano Ronaldo, Cesc Fabregas and Torres among others. Honestly, what is this world coming to. Guess money does make the world go round!!!! 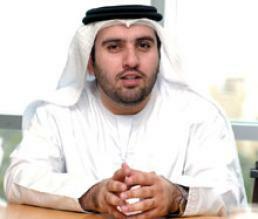 We welcome the new face of English Football, Dr Sulaiman Al Fahim.